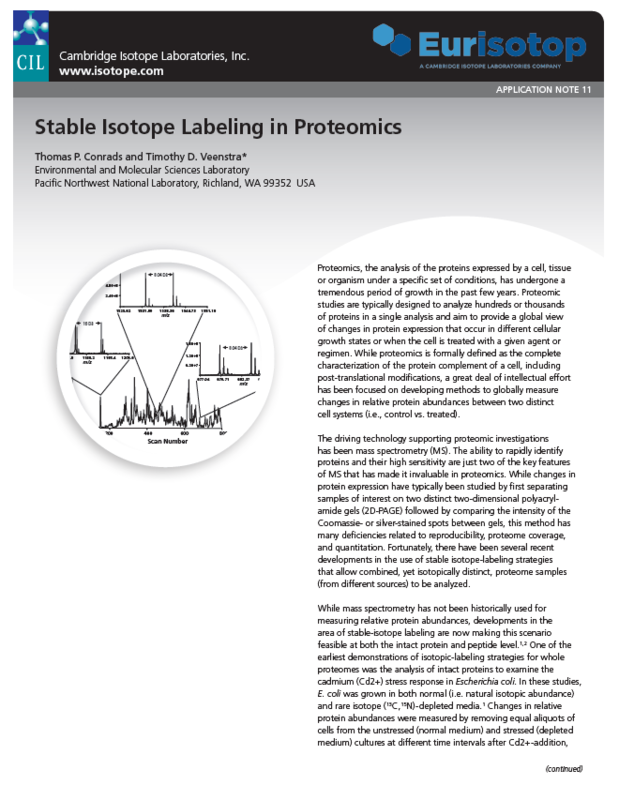 Stable isotope labeled cellular biomass can be used in proteomic and metabolomic researches. 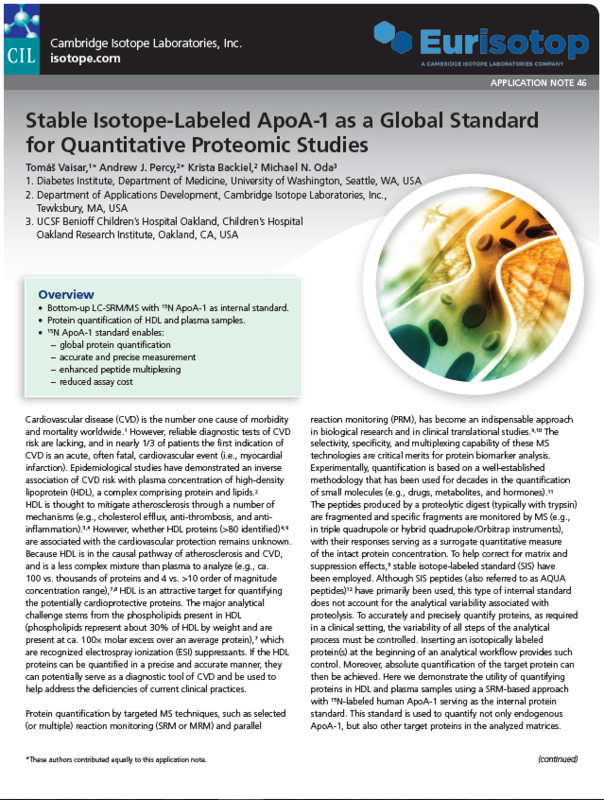 Quantitative, proteomic MS-based studies can greatly benefit from the use of purified, labeled intact protein as internal standards. 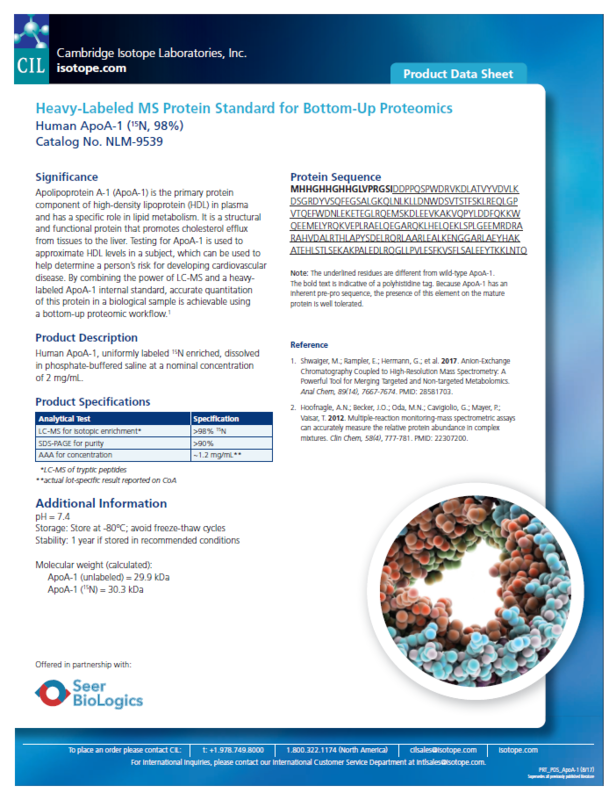 The uses of properly folded, labeled intact proteins are ideal internal standards because they will mimic, as close as possible, the physical and chemical properties of the target endogenous protein in a sample prior to, during and after digestion. Especially, they will keep a similar degree of proteolytic cleavage as the unlabeled counterpart, thus improving the accuracy of the IDMS experimental result for both middle-down or bottom-up methodologies. 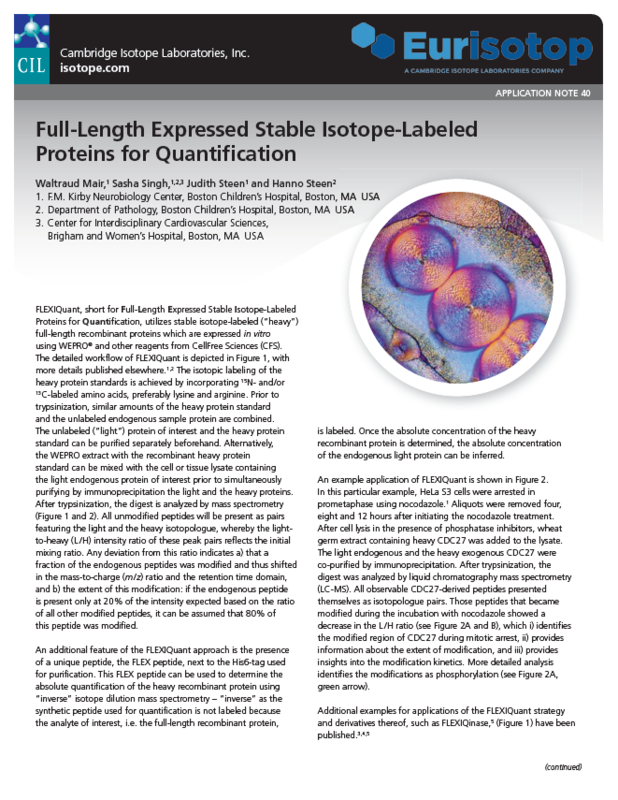 We are pleased to offer labeled cell growth media from Cambridge Isotope Laboratories for prokaryotic cells, eukaryotic cells, insect cells and yeast. 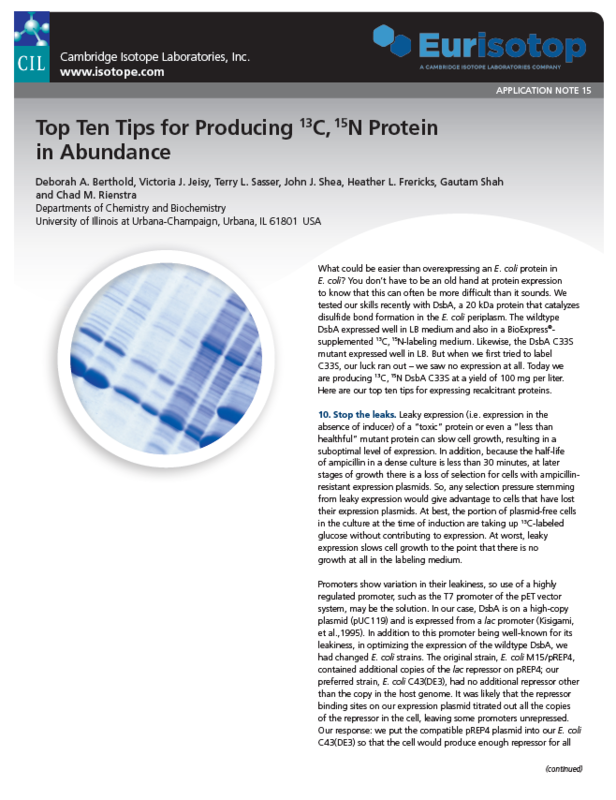 Specific human proteins may be overexpressed in a variety of cell types using these media in conjunction with recombinant techniques so that one can obtain a relatively large amount of labeled purified protein for proteomic studies. 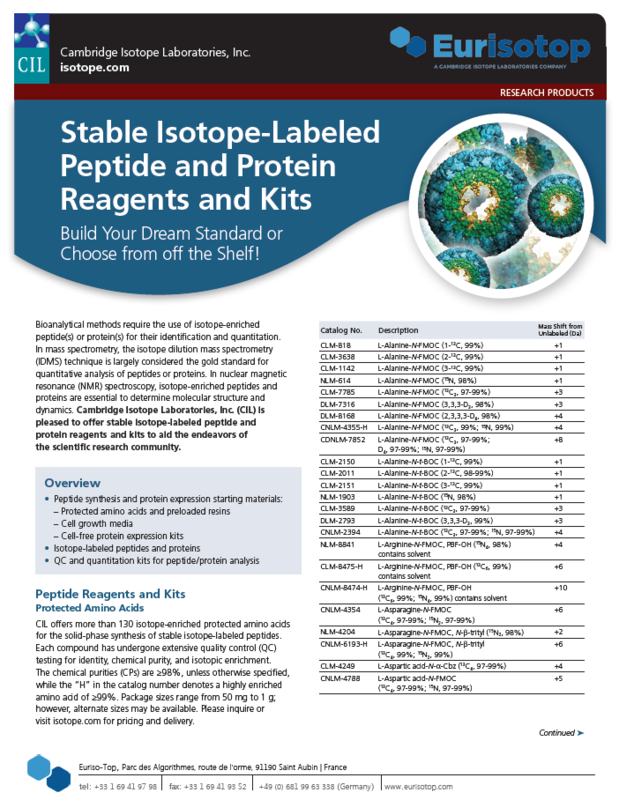 Euriso-top is pleased to offer reagents and kits from CellFree Sciences, which are used to produce uniform or selectively labeled proteins in yields ideal for MS-based proteomic applications.